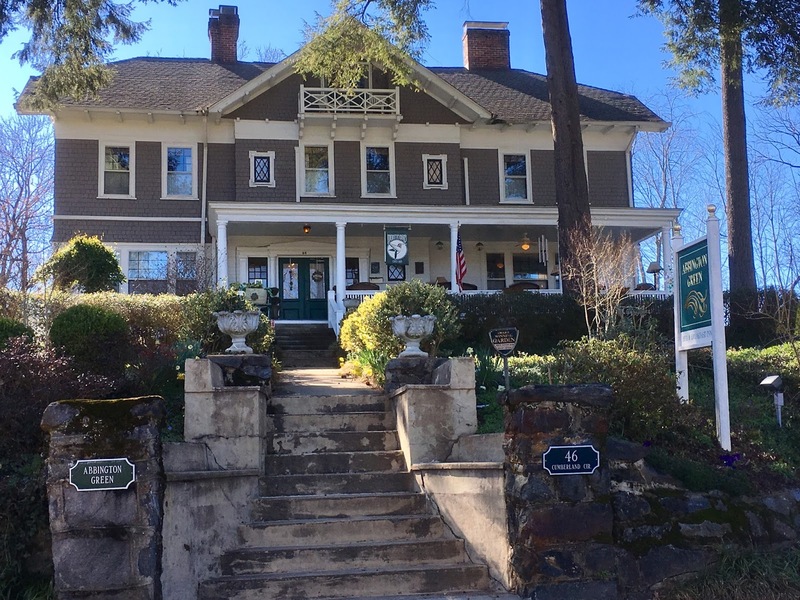 Over the years the dream evolved into owning a Bed and Breakfast in Asheville, North Carolina. Abbington Green Bed and Breakfast Inn filled a big part of realizing my dream. But something was still missing for me, and I knew what it was. I kept it in my mind, and kept thinking that one day it would happen. Well, I am happy to tell you all that that day is here. My partner Steve, and Handyman Dennis thought that the parlor of our home would be a perfect location for the Spa...and it is! a peaceful oasis in the original parlor of our home. 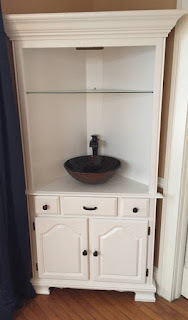 After Christmas this past year, the parlor furniture was removed and we began the conversion. We found antique pantry doors with original hardware from 1908, complete with a skeleton key to close off the entry to the foyer. The sliding pocket doors leading to the living room were closed off as well. Soundproof curtains were added over both doorways and blackout blinds went up in all windows. A 6ft. 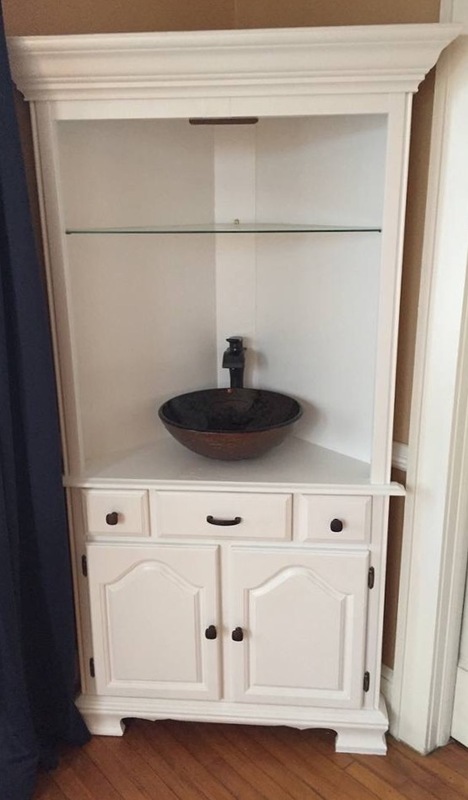 corner water feature was added in the opposite corner from the original, working fireplace, and a sink was installed in an antique cabinet in the other corner of the room. We furnished the room with top of the line spa equipment and linens (I love the linens so much--they will soon be in all guest rooms in the Inn too). 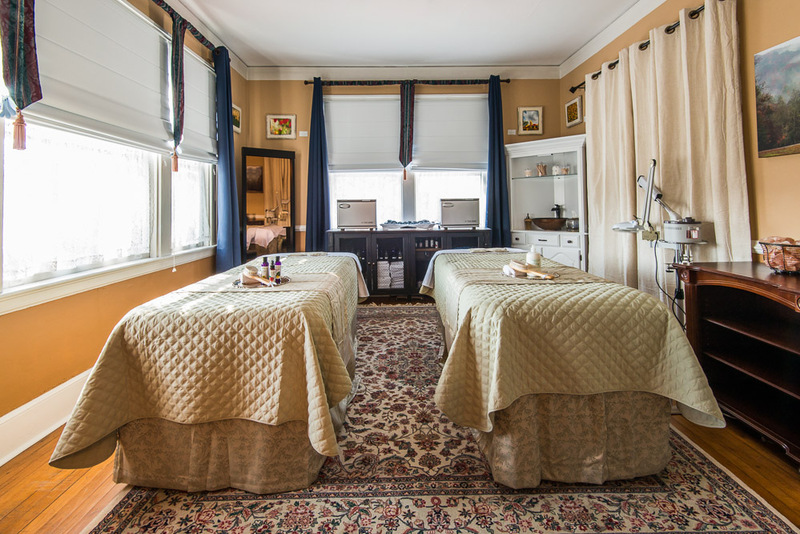 We have two massage tables in the spa for couples massages if requested; a facial steamer with magnifying options, hot stones, and more. 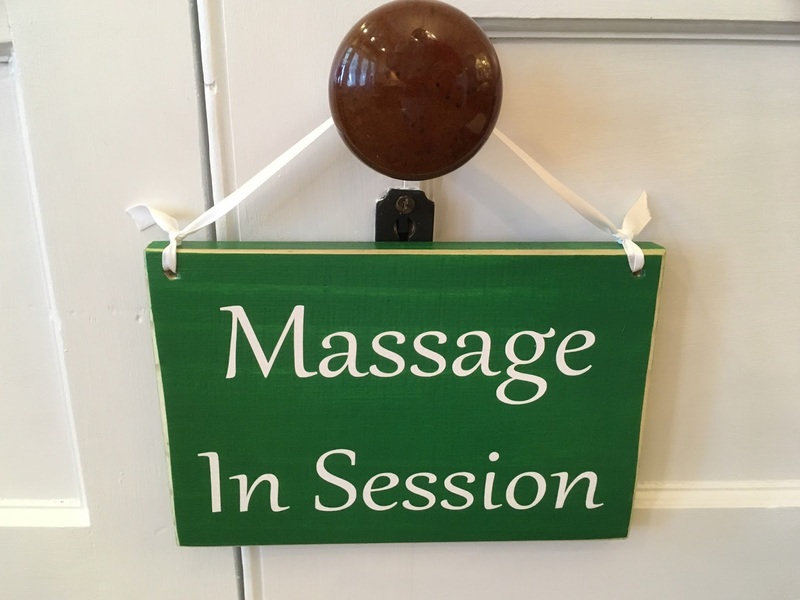 Guests have already begun booking spa appointments for massages and facials and their feedback has been amazing. 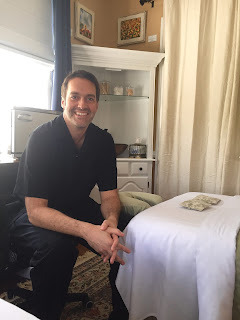 Ben is the head of our spa, and his expertise has been instrumental in product selection and the set up process. Ben, Courtney, Angeline, Tessa, Raven, and Samala were all trained on the high service standards at Abbington Green. 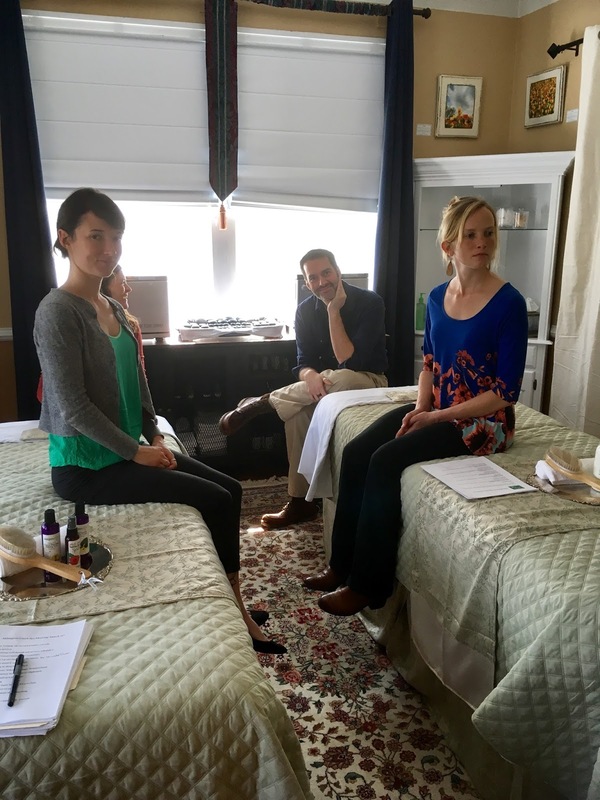 The Spa is an extension of the Abbington Green Experience featuring details, service, and localization. As you know, it is our mission to help our guests experience as much of North Carolina as we can share with them during their stay with us. 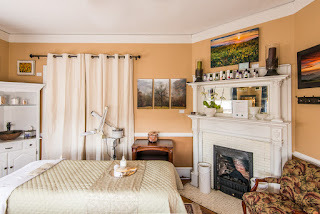 From the organic and locally-sourced products we use to prepare our multi-course breakfasts and 5pm Social Hour offerings (including local cheeses from the WNC Cheese Trail and beer from local brewers), to the NC produced bath amenities in each guest room, and the local art we display in our 2nd Floor Gallery created by local artists, we like to introduce as much local and NC made products as we can! The Abbington Green Spa is no different, and fits right in with the local NC experience. Most of the products we are using in the Spa are made right here in Asheville by Zenjenskin, and are created using native plants which are harvested and then combined with nourishing botanicals and extracts that work synergistically together to create and amazing facial care line. 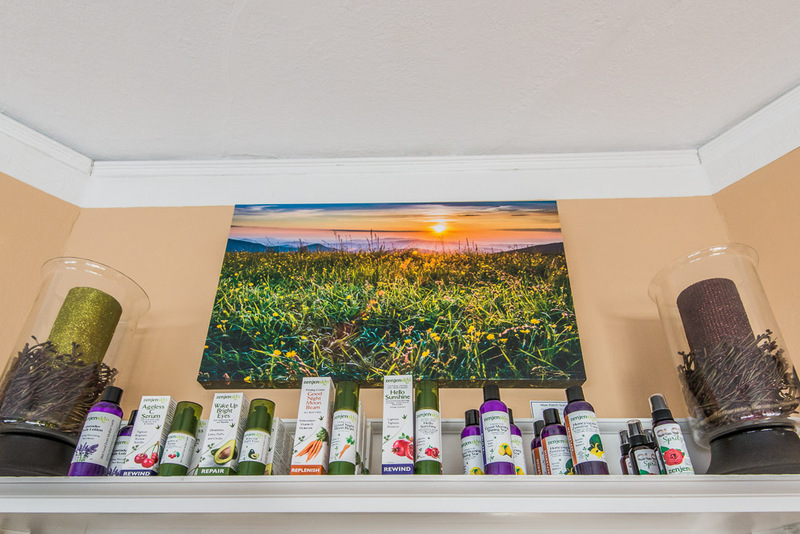 We chose to decorate the Spa walls with the work of local photographer David Simchock--including photographs of the Blue Ridge Mountains and a collection of photos he took at the Biltmore Estate of the Biltmore Blooms. 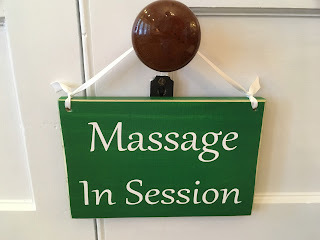 Check out our Spa Menu on our website abbingtongreen.com, there are multiple massages, facials, and added enhancements to tailor your spa treatment the way you want...including a nod to our local beer scene with our Beer City Bliss Massage that uses local beer in the treatment. 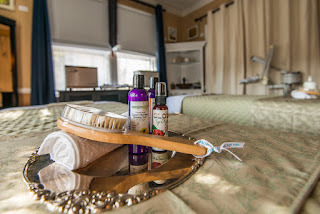 You can book your spa services via our reservation system on the Abbington Green homepage when you book your stay (this is not offered on 3rd party booking agents such as Hotels.com, Expedia, Travelocity or Bed and Breakfast.com) . We'll reach out to find out times and dates and then match one of our Spa professionals to your request. I am so fulfilled by everything my team and I have accomplished in the 2 1/2 years since we purchased Abbington Green. Adding Carey as our General Manager has allowed me to focus on completing my dream. 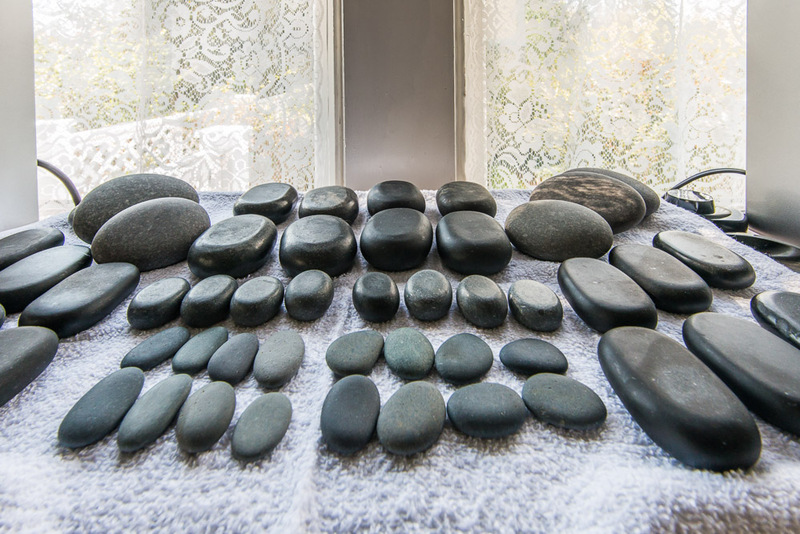 Now you can enhance your stay at Abbington Green with a wonderful spa treatment. Thank you for participating in making the second part of my dream for Abbington Green come true.